In addition to the standard safety equipment of autonomous emergency braking and lane-keep assist, the two hybrid crossover models – 450h F Sports – will be equipped with extra tools that enable wireless interaction with each other and infrastructure such as traffic lights via dedicated short-range communications (DSRC). Headlining the boosted technology is an advanced red-light warning system that “alerts drivers that they (are) likely to violate the red light unless they apply the brakes” and road works warning that can dynamically alert drivers to changing speed limits. 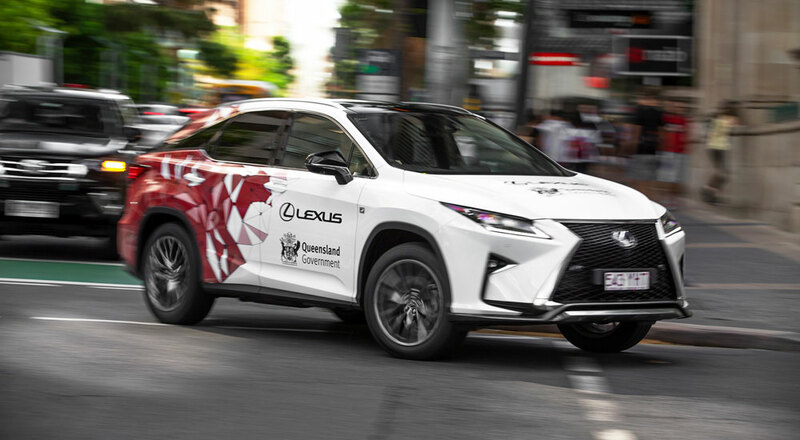 The modified RX crossovers will also be able to warn drivers about road hazards or the existence of a crash ahead, and even be able to indicate that a pedestrian or cyclist has activated a road cross-walk.